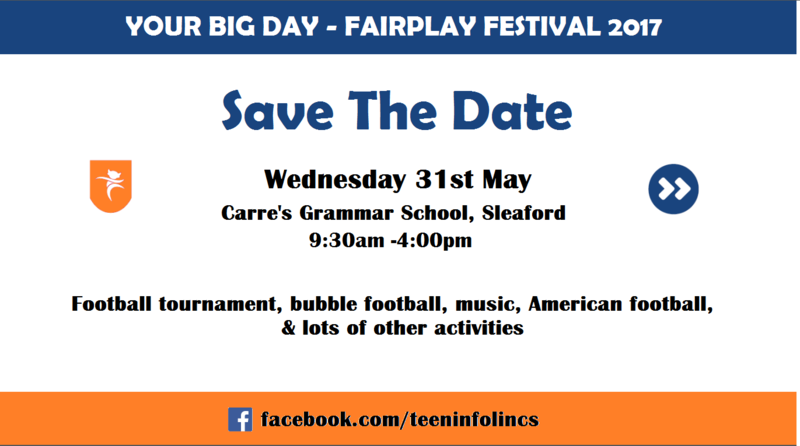 This year’s festival will take place at Carre’s Grammar School in Sleaford on Wednesday 31st May 2017. 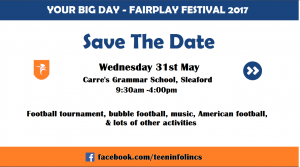 Alongside playing the football tournament on the newly refurbished 3G, there will also be bubble football, American football, volley challenges, live music and much more to get involved with. We are looking for under 19 boys team, if you’re interested then please get in touch with Stephen Rowe at stephen.rowe@lincolnshire.gov.uk or 07824342695. Posted on May 25, 2017 at 10:51 am.